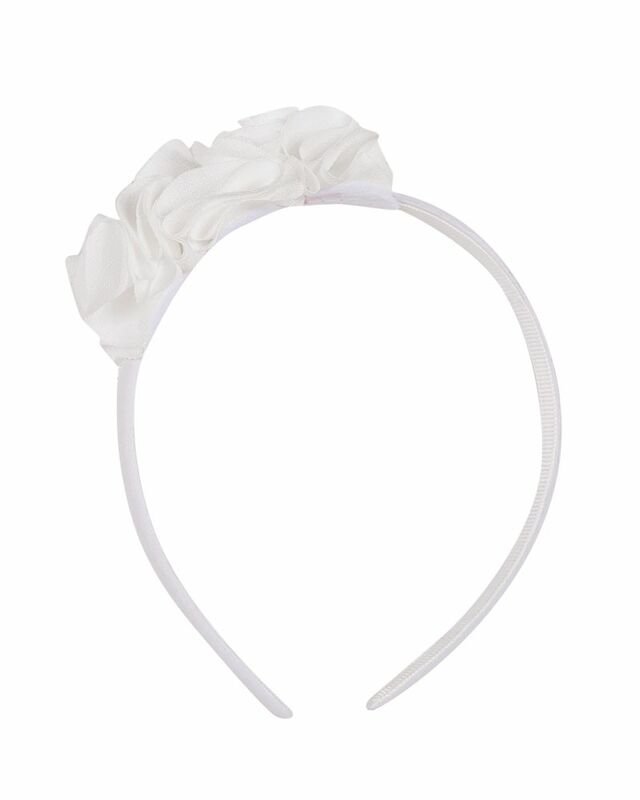 Lili Gaufrette white headband with embellished ruffle finish. 100% Polyester. Imported.